Or: POWER TO THE PEOPLE! 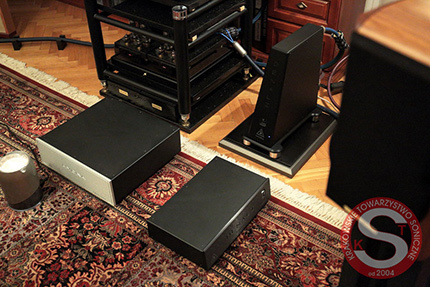 The role of pure power in audio systems is more important today than ever before. We are able to recognize more problems because we are better at dealing with them. One of the companies that excel in this area is the American SHUNYATA RESEARCH. here are at least a few ways (in general terms) to deliver pure power. The most important dividing lines may be described as: "battery supply ↔ mains supply" and "passive filtration ↔ active filtration". Each of these ways to improve the quality of the supply voltage has its advantages, but also disadvantages, and therefore its supporters and opponents. We write about representatives of each of these "approaches" to the elimination of interference from the power grid from time to time. As examples of manufacturers utilizing battery power supply I may give you Bakoon and elinsAudio Manufacture; almost all the other brands, however, prefer a mains power supply (when I say "mains" I mean in this case the AC power grid). The second of these approaches is more balanced, although it also has its "heavier", or richer in examples, side. It is possible to filter the supply voltage in a passive or active way. "Active" is a serious group, though less numerous. Serious because it requires a lot of knowledge and financial outlay. Its most important representatives include the American company PS Audio and the Japanese Accuphase; this type of conditioner is also offered by the Polish Ancient Audio. Devices of this type generate the supply voltage and delivering an ultra-pure sine wave with the voltage and frequency required in a given country; PS Audio offers a choice of a sinusoid frequency, or even a combination of several different ones. Their advantage is the almost complete cut-off from the power grid, and the disadvantage - and an important one - is the limited efficiency. Shunyata Research offers another type of conditioners - passive ones. Describing the "active" group, I wrote about a lot of knowledge and effort such products require, but actually the same applies to the "passive" group. The difference is that it is easier to make an inexpensive passive conditioner than an active one, and only at a certain price level both the knowledge and the investment needed for it are comparable in both cases. A passive conditioner is one in which the reduction of distortion of the AC supply voltage takes place without regeneration of the sinusoid, only with the use of passive elements, such as: capacitors, resistors, inductors, coils and others. In Shunyata conditioners, some of these elements can be found, but two other factors are much more important: mechanical design and piezoelectric and ferromagnetic materials plus certain minerals. In which it reminds a different specialist, the Japanese company Acoustic Revive, whose power distributor I've been using for years. Shunyata Research offers a dozen different conditioners – they call them "Power Distributors". At the top the lineup there is the Hydra series, which includes models: Denali D6000 and Triton. The Denali model is available in two versions - D6000S and D6000T, and Triton is currently available in it's third version (v3; review HERE, review of v1 version HERE). The Denali "S" from Denali "T" differs only in a few details - these conditioners have a different mechanical structure, and the "S" version the current for high-current sockets runs via quite a long cable. They both, however, are significantly different from technologically older top model Triton v3. The "T" model has a form of a pyramid and it features a much better mechanical structure, including high-quality feet; the path for voltage delivered to high-current sockets is very short. Both Denali feature six power outlets, two of which are intended for high-current devices, i.e. amplifiers, and four for low-current devices, i.e. preamplifiers and signal sources. The latter are filtered in passive circuits using electronic components. 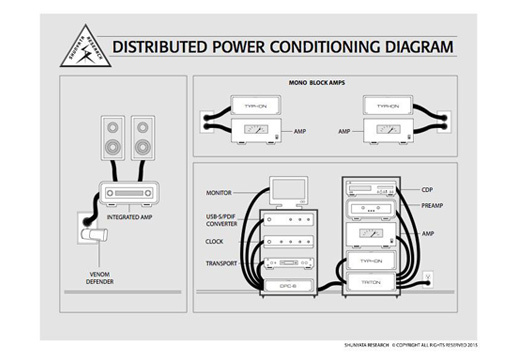 An important property of these conditioners is the insulation of the power outlets also from each other, so that the devices connected to them do not interfere with each other. Also, the latest version of Triton offers CCI (Component-to-Component Interference) noise reduction, but it differs significantly from the Denali series. First of all, all power sockets are treated in exactly the same way in this conditioner, i.e. all are high current. This means that there are no passive filters composed of electronic components, and the filtration is carried out only by reducing the distortions (vibrations) of mechanical origin and the presence of ferromagnetic materials and minerals. To this end, long tubes with a company name NIC (Noise Isolation Chamber) are used, and the power cable pass through them. The 117th meeting of the Krakow Sonic Society was conceived as something of a "research laboratory session". Elimination of power grid distortions is still an unexplored area, at least when it comes to audio. Industry (in general) uses advanced solutions, supported by appropriate measurements and analyzes. It's different in audio. Why? Well, because in audio there are factors that are not important for industrial use. Want proof - Just hear it for yourself ... (more in the column titled Magic of a system: VERICTUM). And that was the goal of this meeting – to try to get some answers. First, we wanted to check how the sound would change after replacing the Denali D6000T conditioner with the Denali D6000S. The differences between these models are, from a traditional point of view negligible, because they are difficult if not impossible to measure. Nevertheless, they are some. We were also interested in how the sound would change after replacing the Denali D6000T with the Triton v3. 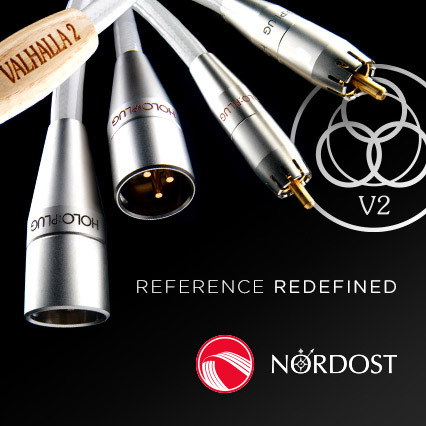 This change is interesting because the Denali series is newer, more technologically advanced (passive filtering for low-current outputs), and Triton v3 offers only filtration, which in Polish language takes on additional meaning – NIC (in Polish it means: NOTHING; ed.). The listening session included comparing the three conditioners in question. We started with the Denali D6000T (PLN 27,790), because it is part of Janusz, our host's, system from which we switched to the D6000S (PLN 22,910). We listened to five tracks. In the second part, we switched D6000S to Triton v3 (PLN 43,880). All of them were placed on the Acoustic Revive RST-38H anti-vibration platform and were connected to electric outlet via Acrolink Mexcel 7N-PC9500 AC power cable. The session was attended by: Jarek Orszański - Audiofast, Polish distributor of Shunyata Research products, Jarek Waszczyszyn, owner of Ancient Audio and a member of the Krakow Sonic Society and other members of it: Rysiek B, Janusz (our host), Rysiek S., Marcin, Tomek, Bartosz Pacuła (who also runs NEWS section for "High Fidelity") and yours truly. Rysiek S. | I have not been here for a long time and I that's probably why I perceived this first listening session very emotionally, i.e. a comparison of two versions of Dworzak. Then we listened to other tracks and let me say that this is not the type of music I listen to every day. Not all of them sound just as good as I'm used to – sometimes there was a glassy piano, sometimes an ugly double bass. At the beginning I was wondering if there was or wasn't a difference and at first I wasn't really sure – in some cases I thought that Denali Twas better, and a moment later that there was no difference. I hesitated until the album, brought by Tomek, or Lalilu by Szymon Zychowicz, because the difference with it was immediately clear. I have a strange feeling that the "S" emits some subcutaneous life. It is a bit less resolving and more conglomerated sound, but it features some kind of "energy factor". Something is happening there. But, I have no doubt that I prefer the "T" version. Rysiek B. | These are two different devices for me. Rysiek B. | I meant sonically, of course, and if you let me finish, I will explain why. The first impression is that the "S" version does something like all the recordings were more compressed than with the "T" version. As if there was a tube somewhere is the system - it has some sensuality in it, it adds some warmth and musicality to each recording. And it lowers the whole sound balance. Sound is warmer, but less resolving, there is less tonal differentiation. It seems to me that the choice would be a matter of taste rather than a performance. But the differences are very clear and – let me repeat that – these are two very different devices. I am aware of the limitations of the "S" version, but for me it was more musical and calmer - it was also more balanced. Wojciech Pacuła | And in this particular system which one did you like more? Rysiek B. | It depended on the track. Because Esoteric with Dvorzak, that you brought, was more energetic and emotional with Denali T. It was more energetic, lively, full of colors. And that's exactly what the high-end is all about. But if you look at it in terms of musicality, then Denali S was better. Janusz | Could you explain what „musicality” means, what kind of category is that? Rysiek B. | For me a presentation is musical when it engages me, when it makes me sing and/or dance, when I tap me feet, when I move to the rhythm, and so on. Janusz | Gentlemen, but lets not make a basic mistake and let us not use it in differentiating, meaning in the objective process, a subjective criterion. I wasn't engaged with "S", my leg was tapping the rhythm. Rysiek B. | …either you feel it and react to it, or you can't hear it because it is blurred in time domain… Either the presentation is musical or it's not, what is difficult to understand? Janusz | It's all true, but listen – I know it is difficult to describe something objectively, but in this case it is obvious that what you're describing is subjective, because I didn't feel it..
Rysiek S. | In your opinion the dynamics and more details offered by the „S” outweighed the qualities of the „T”? Marcin | Yes, I like the „S” better. Jarek Orszański | But remember also about macro- and micro-dynamics, we could hear a difference in these aspects too, right? Marcin | OK - when we listened to the Człowiek track from Tomek's album, all the vocals had a larger range with "S", there was something happening in the track and it had a larger scale. Bartosz Pacuła | Briefly - I liked the standing conditioner, meaning "T". For me, the rule was that the worse the recording, the bigger the differences. That is why the biggest differences came from Tomek's album. There is no doubt – the "S" was, in comparison to the vertical "T", too shrill. Tomek | I would like to take this opportunity to disagree with Marcin and agree a little with Rysiek B. and Bartek :) I liked the "T" more. But when I listened to Szymon Zychowicz, I thought to myself that Janusz's system should be more versatile and should be more tolerant for the mediocre recordings – meaning ones like the above mentioned ... Listening was just exhausting with the "S" conditioner. But then we switched to "T" and everything softened, it stopped being irritating. Suddenly, it was possible to listen to this CD in a balanced way. I would choose this standing conditioner for this system. But I have to say that both Shunyatas are very good devices.